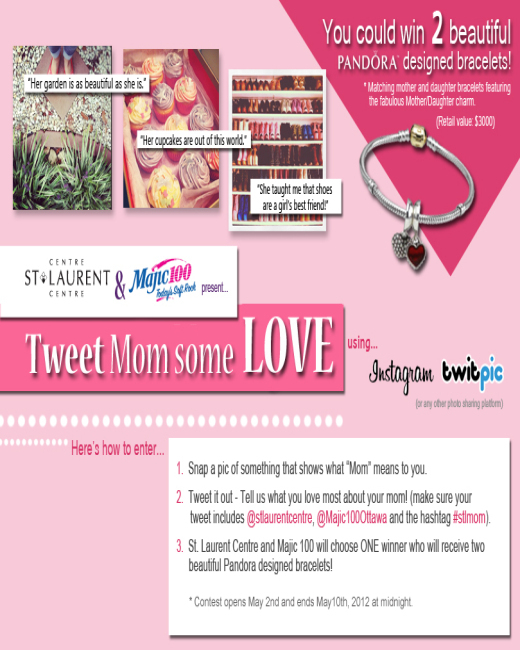 Tweet Mom some love with St. Laurent Shopping Centre and Magic 100 Ottawa, for your chance to win TWO fabulous PANDORA designed bracelets worth $3000! It's super simple to enter too, just tweet a picture of what mom means to you to @StLaurentCentre and @Majic100Ottawa using hashtag #stlmom. On May 10th they will choose one grand prize winner! For more information and complete details please visit the St. Laurent Centre Facebook Fanpage! Disclosure: Posted by AME on behalf of KOW. Image and info provided by KOW. 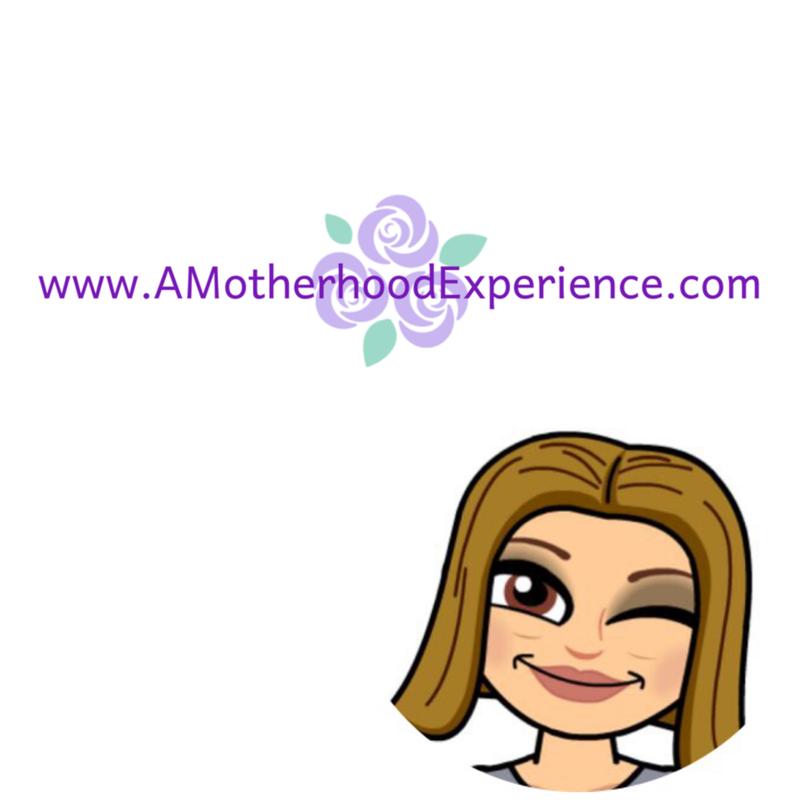 Opinions and comments on this blog are those of AME.